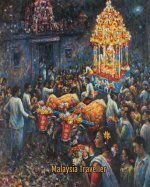 Here is some Malaysia Traveller Trivia about Caves, Cendol, Chamang Waterfall, Charles Alma Baker and Chartered Bank. 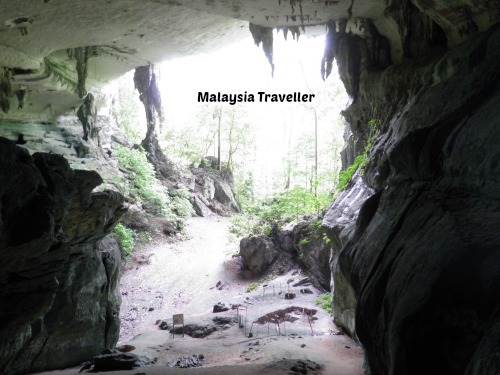 Cave enthusiasts are spoilt for choice in Malaysia where there are hundreds of caverns to explore ranging from those found in the vast and remote Mulu National Park, a World Heritage site, to popular tourist spots like Batu Cave. The cave complex at Mulu include a number of superlatives; the world's largest cave chamber (Sarawak Chamber), the world's biggest cave passage (Deer Cave) and the longest cave in south-east Asia (Gua Air Jernih, a massive 189km long). Ice Cendol is one of Malaysia’s most popular desserts. The key ingredient is the cendol itself, a starchy noodle coloured bright green with the juice of the pandan leaf. The dish consists of a pile of shaved ice, topped with cendol and red beans, swimming in syrup made from coconut milk and gula Melaka (palm sugar). It is a rather sweet dish but surprisingly refreshing and tasty. 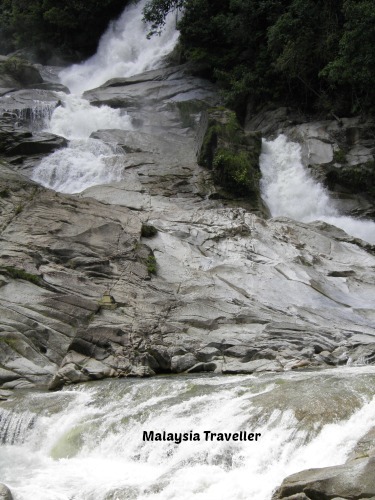 Chamang Waterfall is a beautiful waterfall just 10km outside of Bentong. There is a large car park right next to the waterfall so no hiking is required. The water comes bursting out of the mountain side and charges down the hill with great energy. The combination of slippery rocks, fast moving water and hidden whirlpools make this a dangerous waterfall and careful adult supervision of children is essential. Serious and fatal accidents here are common. There are some calmer pools further away from the falls which are safer for paddling and playing. Chamang Waterfall is well worth a visit if you are in the vicinity of Bentong. This Kiwi, born in 1854, was a surveyor by trade but with a strong entrepreneurial streak and he made a fortune from plantations and tin mining. In later life he gained fame as a big game fisherman back in New Zealand. At age 36, he and his wife left New Zealand and ended up in the Kinta Valley where there was a great need for surveyors to support the ever growing tin mining industry. He made good money out of his Government surveying contracts, some of which he carried out in partnership with William Kellie Smith and in 1894 he decided to build a grand new house to show off his wealth. This became his main home until his death in 1941. 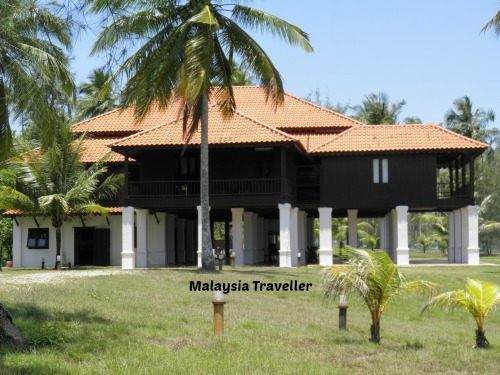 The house was dismantled in 2005 by its new owner and rebuilt on a new site in faraway Kampung Telaga Papan in Setiu, Terengganu. 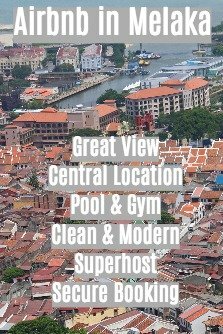 Now renamed ‘Ombak’, it enjoys a secluded beachfront location. Facing Dataran Merdeka in KL is the old Chartered Bank building. 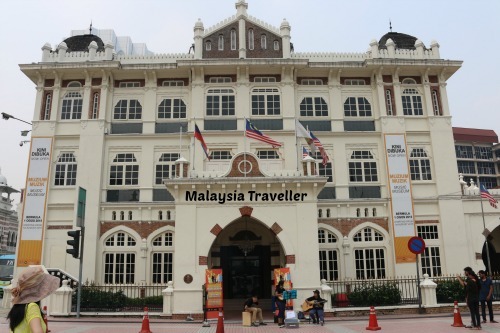 It was built in 1919 and is now the Music Museum Kuala Lumpur. The most famous story about this bank concerns the floods of 1926 during which the basement of the building was submerged. When the floods subsided the bank had to dry out their vault contents and millions of dollars worth of banknotes were spread out on the cricket pitch in front of the bank to dry in the sun.